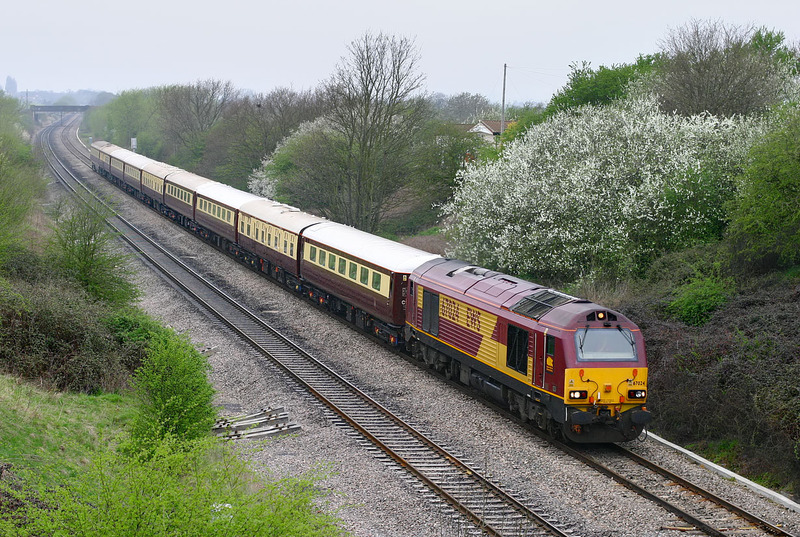 67024 passes Up Hatherley on 22 April 2006 with the VSOE Cardiff to Chester 'Northern Belle luxury special. This picture almost didn't get taken, as the much more important 45112 was coming the other way, and there was only a minute between each train. Any less and this one would have been ignored!